This was my third excursion in the world of peated malts. 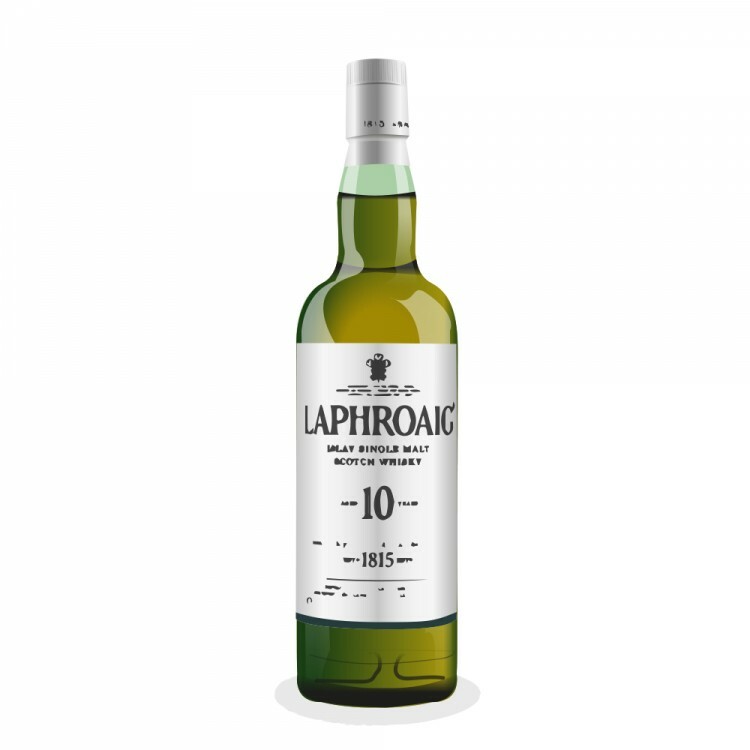 My introduction being the mild Talisker 10y, followed by a sherried/peated BenRiach 12y, this Laphroaig was my first experience with a fullbodied Islay peatbomb. My expectations with this dram where high - as in it had to be close to the summit of peatiness -, and I must say it didn't disappoint. Welcome to Peatland. The nose kicks off with loads of peat and iodine covering a slight fruitiness and faint smoke of slightly burned wood. All of this without tingling my nostrils too much 'though, as it has this smooth feel to it. What can I say? 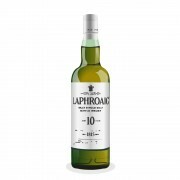 The fullbodied taste can't possibly hide the peat, and I had to search hard for the wood and nuts that accompany it. After a while, once you get used to the peat, the storm lays down and as a forest that awakens after the rains, this dram opens up its fruitiness and cedarwood aromas. Or maybe someone opened up a bag of winegums? The aftertaste is kind off dry and maybe even bitter and tends to stick around for a while. Long enough to make it 'till the next sip, that's for sure, but an idiot that keeps those next ones waiting...Please give me more! This is what got me into peated malts thanks to my good friend Charles Savage. It has always remained one of my regulars along with Cutty Sark which is the only blend I seem to prefer. A half peat-star perhaps, but I find this one a bit more complex than the Lagavulin 16y, which is without a doubt more pronounced.